Alphabet announced today that Eric Schmidt is stepping down as the company’s executive chairman. Schmidt will transition to a new role as a technical advisor and will continue to serve on the company’s board. Executive chairman of Google parent Alphabet Eric Schmidt last week told employees that the Trump administration will do ‘evil things,’ reports Buzzfeed. Talking Schmidt fans have something to look forward to later this month: the Alphabet executive chairman and former Google CEO is set to speak at the first Startup Fest in Amsterdam on May 24th. 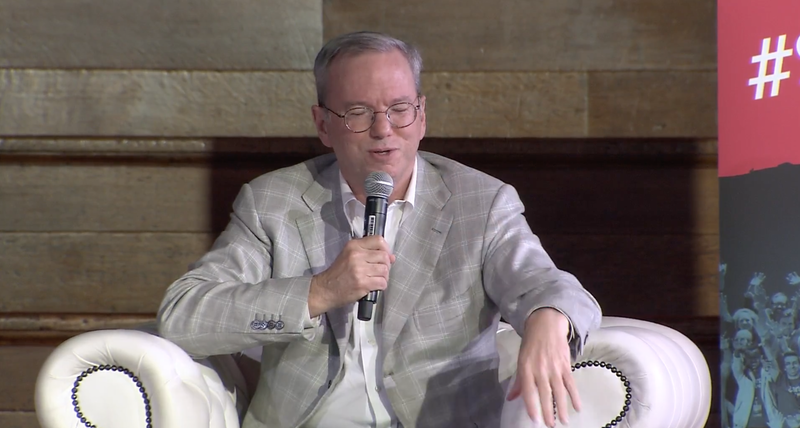 Eric Schmidt is among several big name keynote speakers, including Apple CEO Tim Cook, Uber founder Travis Kalanick, and Airbnb CTO Nathan Blecharczyk. Google is among the list of sponsors for the first Startup Fest as well.